These are exciting times...! As I mentioned before I've been invited to hold a series of workshops at the West Wight Alpaca farm in Wellow starting after Easter and I'm able to confirm the dates here. West Wight Alpacas is home to both a herd of rare coloured Suri Alpacas and the more common Huacaya Alpacas (pronounced Wacaya) and makes a perfect location to hold felt making classes in their brand new workshop facility, surrounded by all these amazing animals! As you can see I've been experimenting with the alpaca fibres and they do felt very differently to the wools I'm most familiar with. The Suri fibres are beautifully soft and silky to handle, which makes them quite difficult (but not impossible) to felt as the fibres do take quite a bit of working. 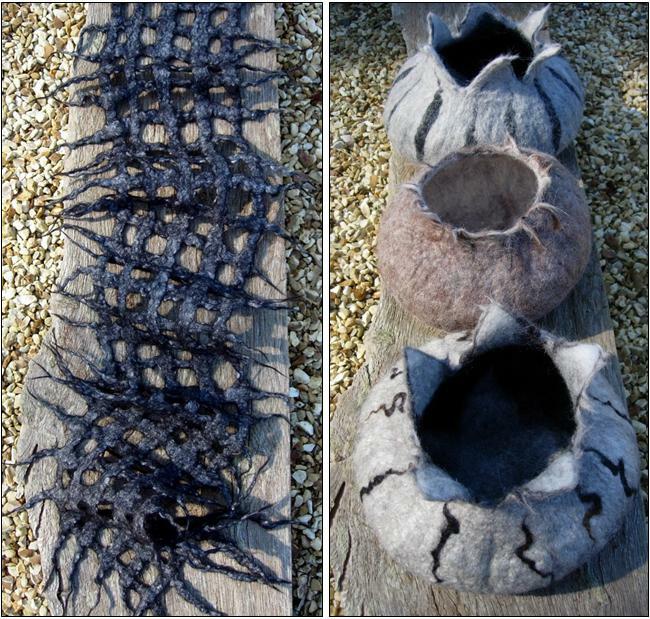 I did use them to make some of the examples here like the black lattice scarf and the bowls (click on the photos to enlarge). However these fibres are better suited to hand spinning and produce a luxurious knitting yarn. The Huacaya has the more normal 'Teddy Bear' fleece that is closer to wool and is much easier to felt. 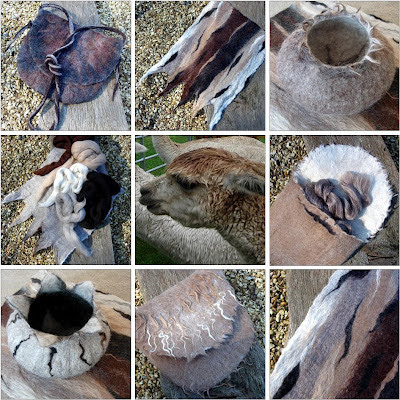 The alpaca natural colour range is amazing! They come in twenty two different shades, from white to black with every other natural colour of fawn, brown & grey in between, which makes them perfect for these felting projects. The finished felt also retains a wonderful 'alpaca' quality, the bowls & bags have a lovely soft hairy-ness which is quite unique! 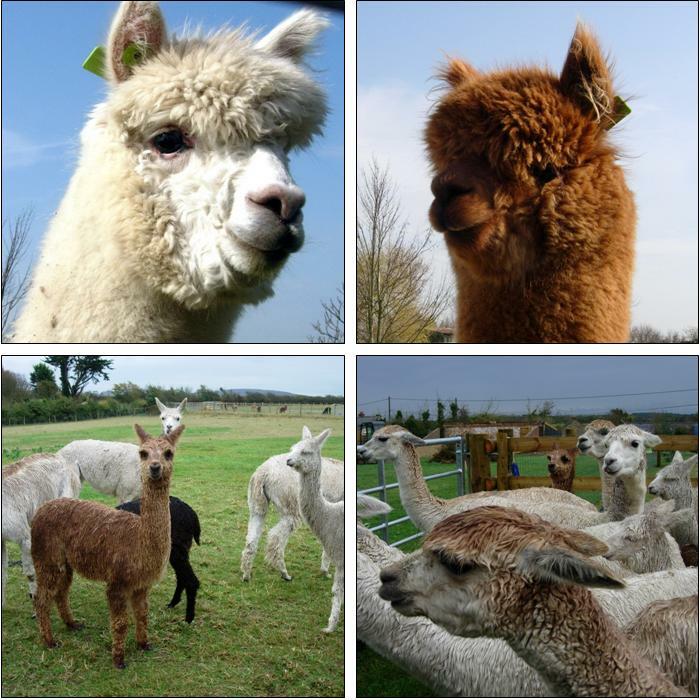 With the forthcoming feltmaking workshops we plan to use a 50/50 mix of alpaca and wool. All the natural coloured fibres for the workshops will be available to buy at the farm shop and we will be using large drum carders during the workshops to blend these fibres into individual colour combinations for the felting projects. It's been an exciting time for WWA as they have just returned from their first major UK Alpaca Futurity show at the Birmingham NEC with lots of rosettes and two of their brown Suris winning Champion (Kaiser) & Reserve Champion (Kimi).